California looks set to make big bucks from legalizing weed, Mexico's tourism minister suggests legalizing it at some of the country's biggest tourist beach resorts, the new Honduran national police chief has some explaining to do, and more. 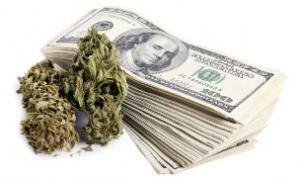 California Will Reap $643 Million in Pot Taxes Next Year, Governor Estimates. Gov. Jerry Brown (D) estimated Wednesday that the state will take in $643 million in marijuana taxes in Fiscal Year 2018-2019, more than 10 times the cost of issuing licenses and enforcing new rules. The estimate comes in the governor's budget proposal for the next fiscal year. This year, with only five months remaining in the fiscal year and with sales just getting underway, the budget estimates $175 million in pot taxes. The high tax proceeds estimates are leading to calls from some consumers and the California Growers Association to lower the taxes. Virginia House Panel Kills Decriminalization Bill. A subcommittee of the House Committee on Courts and Justice voted 7-1 Wednesday to kill a decriminalization bill, House Bill 1063. A bill that would lessen penalties for a first marijuana offense remains alive. Idaho CBD Bill Filed. Conservative Republican state Rep. Dorothy Moon has filed a bill that would allow the CBD cannabis oil for medicinal purposes. House Bill 410 would limit cannabis oils to less than 0.3% THC. It is now before the House Health and Welfare Committee. Mexico Tourism Minister Calls for Legal Marijuana at Major Beach Resorts. Tourism Minister Enrique de la Madrid said Thursday that Mexico should legalize marijuana at two of the country's major beach resorts, Cancun and Los Cabos, in a bid to reduce criminal violence. "It's absurd we're not taking this step as a country," he told reporters in Mexico City. "Even if there's work to be done in the whole of the country, I'd like to see that it might be done in Baja California and Quintana Roo," the states where Los Cabos and Cancun, respectively, are located. Mexican Military on Patrol in Reynosa in Wake of Cartel Violence. The military is out in force, on the ground and in the air, in the Mexican border city of Reynosa after days of gun battles between rival factions of the Gulf Cartel left at least a dozen people dead. The military patrols will continue indefinitely, the governor of Tamaulipas state said. Honduras National Police Chief Reportedly Helped Cartel Rescue Cocaine Load. The new chief of National Police, Jose David Aguilar Moran, promised to continue reforming an agency stained by corruption and complicity with drug cartels, but the Associated Press reports that he helped a cartel leader successfully retrieve and deliver nearly a ton of cocaine after lower-ranking police stopped the truck it which it was being transported. That report is based on confidential Honduran government security reports obtained by the AP. Georgian Protesters Demand Drug Law Reforms. Hundreds of people gathered outside the parliament building in Tbilisi Thursday to reiterate their demand that the country liberalize its drug laws. The rally was sparked by the Monday sentencing of actor Giorgi Giorganashvili to eight years in prison on drug charges. The protestors representing 20 civil society groups said the sentence "once again legitimized the inhumane and repressive drug policy in Georgia." The action comes as the parliament is considering a bill that would decriminalize the use and possession of small amounts of drugs.